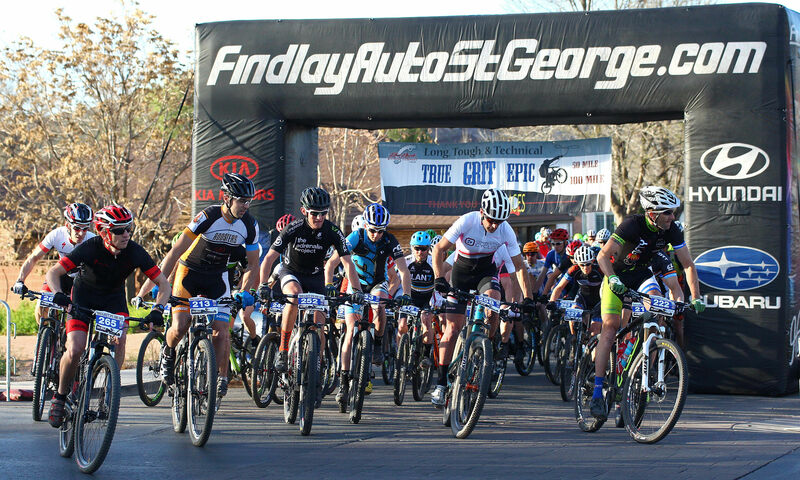 ST. GEORGE – “National Bike to Work Week” started Monday as a part of “National Bike Month.” Along with it, the League of American Bicyclists released its annual ranking of bicycle-friendly states, with Utah being listed among the Top 5. The state was also ranked high in the categories of “evaluation and planning” and “legislation and law enforcement” related to bicycling. The five categories are the elements the league considers when ranking states. In 2014, the Utah Department of Transportation adopted a bicycle master plan that set inter-agency goals for the inclusion and support of active transportation (walking and bicycling) infrastructure and transportation projects. Utah’s report Bicycle Friendly State report card can be found here. There has been an increasing focus on active transportation in Southern Utah in recent years. 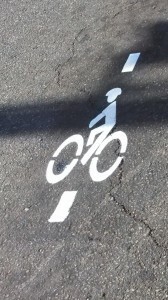 In Washington County, local cycling groups and the Utah Department of Transportation have often worked together to resolve issues impacting bicyclists, as well as to create active transportation-friendly infrastructure. Two examples of this can be seen on state Route 18 and the Red Hills Parkway interchange. In 2012, UDOT installed rumble strips on SR-18 that raised concerns among bicyclists, as it lessened the shoulder area they rode on, creating a potentially dangerous situation. Hearing the concerns, UDOT worked with the cycling groups to ultimately resolve the issue by widening the shoulders. In the case of the Red Hills Parkway Interchange, Kevin Kitchen, a spokesman for UDOT, said cyclists’ input influenced the interchange’s design. “It was really an element that did affect the design,” he said, adding UDOT has become focused on “integrated transportation” in its overall design process. In addition to cars, integrated transportation planning looks at other means of transportation, such as walking and biking, and incorporates them accordingly. With “Bike to Work Week” also underway, some members of city government and staff are riding their bikes to work. 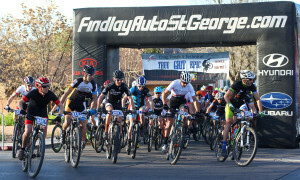 People who ride their bikes to work this week are encouraged to take photos of their bikes and post them on the City of St. George Facebook page. National Bike Month is being observed in Washington County through events that can be found here. Recently, the mayor oversaw the creation of the city’s 13-member Active Transportation Committee. Comprised of representatives from the realms of cycling, business, education, health and transportation planning, the committee is designed to promote the benefits of active transportation while also providing input on future infrastructure planning. St. George News reporter Hollie Reina contributed to this article.